Nathan is a Senior Consultant with Southdowns. Having initially joined the company in 2010 for a one year placement, he returned to work with Southdowns in 2012 as a full time member of staff. This followed completion of his study for an upper second class BSc (Hons) degree in Audio and Music Technology at the University of The West of England in Bristol. He subsequently studied Environmental and Architectural Acoustics at London South Bank University (LSBU) on a part-time enrolment and was awarded an MSc with distinction in 2016. Nathan's MSc thesis on the subjective response to high speed rail noise was awarded the RBA Acoustics Prize for Environmental Acoustics. Nathan has worked on a variety of noise and vibration assessments across a wide range of sectors including construction, industrial, commercial, residential, rail, highways and power. He is well-versed in the calculation of noise and vibration impacts using in-house and proprietary software in line with the relative British and International standards. 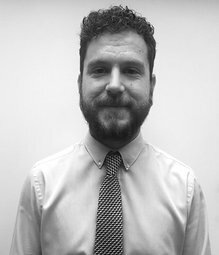 Nathan has been involved with work on several railway projects including Crossrail, HS2, London Overground and London Underground upgrades. He has project managed numerous noise impact assessments in support of planning applications for developments and industrial sites around the south-east, including residential basement developments within London. Nathan also has experience of working outside of the UK, on a major petro-chemical facility in the Middle East.